Surgery: In this method, you will undergo a surgery where the scar will be removed and the surgeon will rejoin the normal skin. The scar will however not be completely removed but will be made smaller and less noticeable. 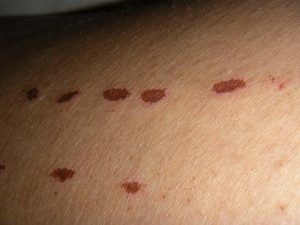 The scar can also be moved to an area where is it less noticeable to help you to regain your confidence especially if the burn occurred on your face. Chemical peeling: This method is used when the scar is light and just appearing on the skin’s top layer. Chemicals will be applied on the skin to aid in peeling off the top skin, leaving the area smooth once again. Dermabrasion: this method is also used for light scars where the surgeon will use a machine to remove the top layer of the skin. This will leave your skin looking smooth once again. Punch graft: In this method, tiny pieces of skin are used to replace the scarred skin. The surgeon will use a cutter to make a hole on the scarred skin and remove it. He will then fill the hole with the small piece of skin from a different part of your body and the scar will be no longer visible. Fillers: This method is used for treating soft scars that are indented where collagens, hyaluronic acid, or even fats are used. The fillers are injected into the scarred skin to fill it and make the scar invisible. The process of getting rid of a laser hair removal scar should be done by a professional to avoid further damage to the skin. This is because the skin is very tender as a result of the burn and any wrong move will make the condition worse. To avoid suffering from such complications in the first place is the best option. This can be done by seeking reviews from customers who have had a laser hair removal from the spa and find out how their experience was. You can also ask if the person conducting the laser hair removal treatment is qualified and whether there is a medical doctor to oversee the process. If all these are in place, you can be assured that you will get great results even if the cost of laser hair removal in such a spa will be on the higher side. This cost can, however, not be compared to the cost and the stigma you would have to endure in case you get burnt by a person who does not know how to use a laser. Such a person may not even have the money to pay you and the worst that can be done is to lock him up or close down the spa.